Lightly dry hopped for a gentle floral aroma, this blonde ale is made from a mix of classic pale malts and is named after the city where it is hand crafted. A full bodied Czech-style Pilsner. Floral aroma with notes of lavender, honey, and caramel. Finishing with a crisp and slightly spicy bitterness. Wild harvested Tasmanian pepper berries and a collection of New Zealand hop varietals contribute notes of fresh cracked pepper, citrus, tropical fruit, lime and lemon zest to this oceanic inspired saison. Notes of citrus, flower, mellow, hoppy finish. Malty but light, hoppy without the bitterness. Flavours of apple, grapefruit, refreshingly bitter finish. Hop aroma, malt flavour, crisp finish. All juice, no water or sugar. True Artisan hand-crafted. Refreshing, clean BC cider with a hint of tartness. Fresh, crisp, subtle apple, bubbles. Aromas of ripe pear, apricot, sweet fruit blossom. Flavours of peach, dried apricot, with hints of vanilla, pink grapefruit. Aromas of wild plum and black cherry accentuating savoury, liquorice characters. 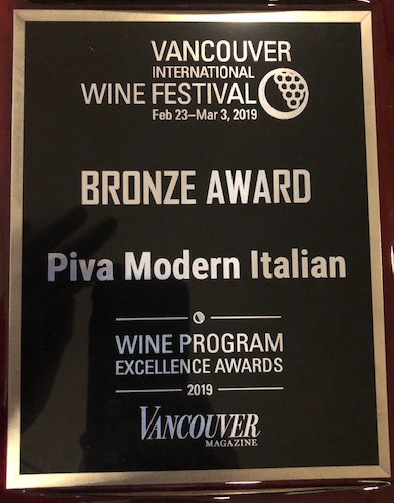 Our coffee is a proprietary Italian blend made exclusively for Piva. The beans are fair trade organic, locally roasted within the past 72 hours.